There are 8 agendas, your aim is to get to the point where there are more snares than agendas in R&D and then murder the runner. Use (and recur!) Cerebral Cast to reduce the runners hand size until any form of multi access becomes a huge risk At some point they will disregard the information up top and you will murder them. Using casts when you don't have any other kills pieces in hand is risky but usually pays off, "soft" targets like Wyldside and Temmy J will often mean the runner takes the brain damage regardless of fiery death. There is almost no money in the deck but it seems to work as all the ICE is cheap. The SEA Source seems a little out of place but between installing breakers and breaking Mind Game you'll occasionally have a window as its not expected. Komainu is largely there to punish dumblefork players as they often take 5-7 net damage which is a huge tempo hit. A second Enforced Curfew and a Voter Intimidation are the changes I would make after playing this at the Bristol store champs and going 4-1 on the day which would be amazing if I wasn't terrible at Temmy J Whizz. This deck is heavily inspired by Kelf's tiny garden which first led me down the rabbit hole of scorchy Nisei. Eady, what would you take out for the Curfew and Intimidation? Probably an Upayoga and a Shock, I often end up discarding ICE later on and upayoga is the weakest piece. 1 Shock seems to be enough to keep most runners out of archives. 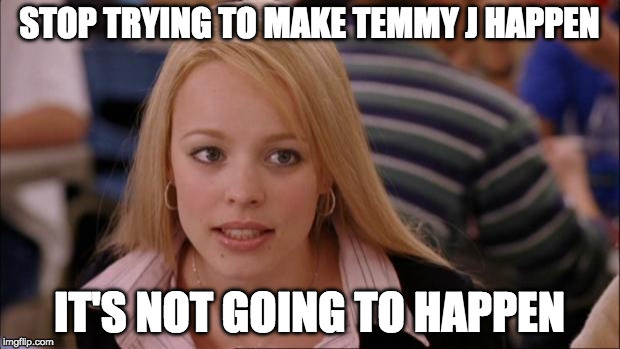 Still trying to make "Temmy J" happen? DO IT. I'm with you! Recently I built a Cybernetics Division deck that used Cerebral Cast to bully the runner into taking a tag, then Scorched them. I started testing it, and got a win on competitive Jinteki, and then I played against Aaron Marron. The deck pretty much folded because they could just take the tag from Cerebral Cast and immediately avoid it. With all my influence basically spent on the kill package, I couldn't figure out how to get around him, and decided to take a different approach. In Jinteki, you don't have this problem, because Voter Intimidation is in-faction. And it's so good. I definitely recommend you slot at least one in this deck. Even if you never see Aaron, you'll see Temujin and heaps of other annoying resources. Voter Intimidation is pretty great. What does Temmy J mean Eady? I don't understand? Well done on Sunday! Stop enabling him everyone. You're all enablers! 2) This deck was great fun to play against. I am too afraid to play the Scorched Earth suite in my Nisei anymore, but I am so so happy there is someone out there still making it work. Having said that, deck looks great. I like the ICE suite, with Upayoga being at x2 instead of x3 in order to allow you to have more Aikis. The Sea Source might be hard to land if the runner is making too much money (which is quite often in the current meta) but the ICE is still so cheap AND taxing that you might get to that point before they even realize it. Enforced Curfew is also great to set up a kill, as long as you've done a brain damage though. Which shouldn't be too hard mid-game. Maybe 1 less preemptive for 1 more Celebrity Gift though? It seems like you have a lot of ways to shuffle cards back into your deck for not much reason (since you already sport x3 Jackson Howard in the deck). Aaron Maaron as mentioned above though, might be a huge issue for the deck. You have to get them tagged through snares or something so that they remove the tokens. But even then, if they know the Scorched Earth threat (either by having accessed the card or through Celebrity Gift) if they are smart, they will keep at least a couple tokens on Aaron. Would love to see how this list continues to evolve with more cards coming out! Maybe it still have a place on the competitive table.